The Law Office of Brian R. Toung, P.A. Secure Your Rights After a Serious Car, Truck or Motorcycle Crash. As people drive faster and succumb to more distractions behind the wheel — from texting to operating GPS systems — more accidents happen. 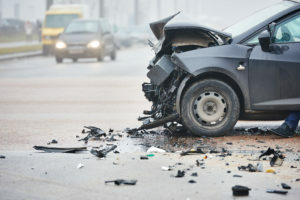 What should you do after an accident? How do you uncover whether the negligence of another driver was the cause? If a car, truck, motorcycle or aviation accident seriously injured you or a member of your family, you can fight back — and The Law Office of Brian R. Toung, P.A., will fight right alongside you. Since 1983, board-certified trial lawyer Brian R. Toung in Daytona Beach has aggressively, effectively protected the rights of victims injured in accidents caused by negligence and helped family members mourning the wrongful deaths of loved ones. As your personal injury attorney, Brian will listen carefully to your account of what happened and respond with exhaustive research into its cause. He will bring the facts of your case to skillful negotiations with insurance companies, and he is always prepared to take your matter to trial if discussions toward a settlement are not productive. Our law firm recognizes and respects the many hardships you face — physical, financial and emotional. Brian R. Toung will work hard to obtain the maximum financial compensation you deserve to defray lost income, medical bills and motor vehicle replacement and reflect your pain and suffering as well as possible loss of future earnings. Has your life been changed forever or a relative’s life ended in a car accident, truck crash, motorcycle accident or head-on collision? Does your catastrophic brain or spinal cord injury have you facing a lifetime of expensive therapy that will burden your family financially for the foreseeable future? Brian R. Toung can safeguard your current and future interests, inside and outside the courtroom. Our commitment to personal service includes a contingency fee basis for our work and a free initial consultation at your home or hospital room if necessary. Call us today: 386-255-3425 locally or 800-365-8063 toll free. All email inquiries are responded to promptly. To schedule a free initial consultation, call 386-255-3425 locally, 800-365-8063 toll free or complete our contact form. We serve clients in Daytona Beach and throughout Volusia and Flagler Counties. Brian R. Toung is one of only a handful of Florida personal injury and criminal defense lawyers who are Board Certified Trial Lawyers. He is also a member of the Million Dollar Advocating Forum by virtue of his recovery of millions of dollars in settlements and verdicts for clients injured in accidents caused by negligence.